Featured / Recipes / 25.12.2014. Even though it was traditionally prepared for the workers in the fields, weddings and other festivities, we mostly relate it to Christmas. 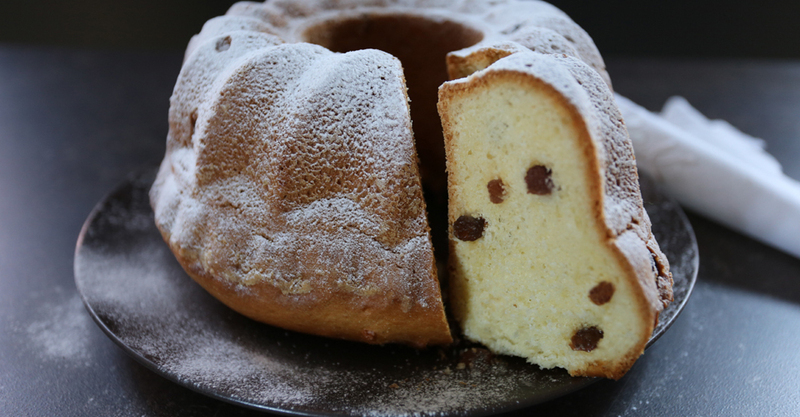 Yeast dough made from flour, eggs, yeast, milk, butter and raisins, baked in an earthenware mold, was also a favourite cake by famous Croatian writer Marija Jurić Zagorka. Who could resist its aroma and flavour combined with white coffee on a Christmas morning. Dilute the fresh yeast in 50 ml warm milk. Mix butter, sugar, vanilla sugar and egg-yolks with an electric mixer until frothy. Add grated lemon rind and rum. Add salt to the flour and mix. Add flour and remaining milk in the egg-yolk and butter mixture, constantly stirring until you get a smooth dough. In the end add diluted yeast and raisins. Put the dough in the form cake mold, which you previously buttered and sprinkled with flour. Let it rise in a warm place for an hour. Bake in an oven previously heated to 180°C for about 50 minutes. Move the baked form cake onto a plate, sprinkle with powder sugar and serve next to a warm beverage.